James R. Scherrer III, of Overland Park, KS passed away early May 5, 2018 succumbing to complications after a brave & hard fought yearlong battle against cancer. He is survived by his wife, Paulette, his son, Christopher, his grandson Roman and his sister Shirley Nye. He was preceded in death by his father James R. Scherrer, Jr., his mother Nellie M. Scherrer, and his sister Sandra Kennedy. He was a deeply loving, supportive and devoted husband. He was a steadfastly reliable, protective, encouraging and doting father. James never met a stranger, was quick to smile and strike up a conversation anytime, anywhere with people from any walk of life. Most of all he was truly selfless. Underneath a sometimes gruff exterior beat a phenomenally kind and monumentally generous heart. When he saw a need he would do for others, even at personal risk or to his detriment, because he felt deeply compelled, and it was right to do so. His interests were numerous and varied, but he was most fond of dogs, birds, Native American culture, professional and college sports. This last passion he shared with Roman, who was his world. He was a musician playing both the saxophone and clarinet, had a fine voice and was not a bad dancer. James brought his charm, wit, sincerity and trustworthiness to bear on a lengthy sales career resulting in many awards and recognitions over the decades. 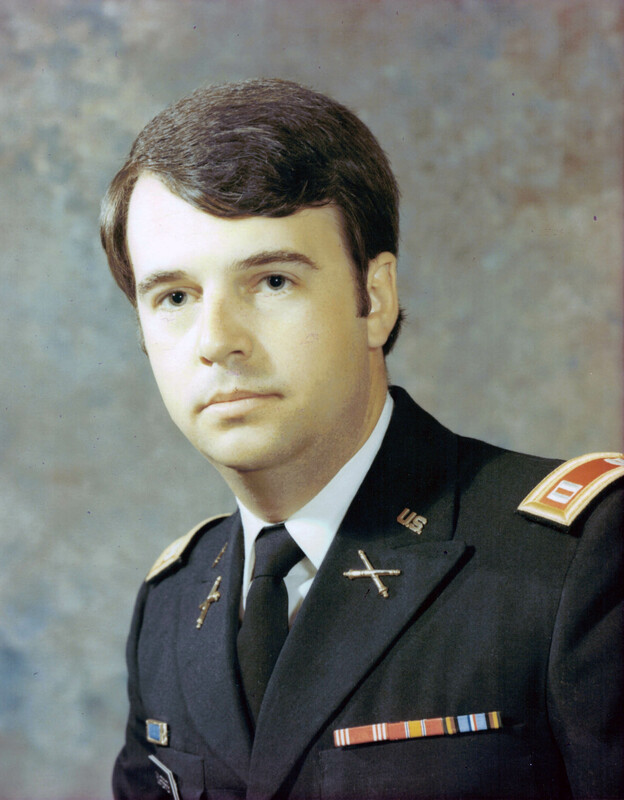 In his early twenties he served in the U.S. Army as an Artillery Captain & Battery Commander stationed in Korea during the Vietnam War. He was an Eagle Scout and Past Master Councilor in The Order of DeMolay. These accomplishments were among his greatest joys, and of them he was endlessly proud. His passing leaves an unfillable void. He will be forever missed by all who knew him. His family thanks the nurses and physicians of St. Luke’s Hospital, especially the nurses of the CVICU at St. Luke’s Plaza, for the excellent care provided him. Per James request he will be cremated. Inurnment will be private. A visitation will be held from 3:00-5:00 PM on Saturday, May 19, 2018 at Park Lawn Funeral Home, 8251 Hillcrest Rd., Kansas City, MO. In lieu of flowers, please consider a donation in James’s name to Wounded Warriors, Juvenile Diabetes Research Foundation or KC Pet project. To the family, I am sincerely sorry for your loss. Sometimes the hardest thing to do is continue on after the loss of a loved one, but please be assured that Jehovah God is aware of what you're feeling. Psalm 34:18 states "God is close to the brokenhearted; He saves those who are crushed in spirit". God can and will provide you with the comfort & strength to endure during these difficult times. God promises us that there will be a resurrection, that will take place after he does away with death once and for all time. (Rev 21:4 & John 5:28-29) Then we will never have to experience the pangs of death ever again. I pray these words and scriptures brings you comfort.